Kylian Mbappe has left many of his opponents red-faced and France team-mate Ousmane Dembele unfortunately joined that list. Mbappe's filthy piece of skill during training ahead of France's Nations League match against Germany put Dembele on the ground. 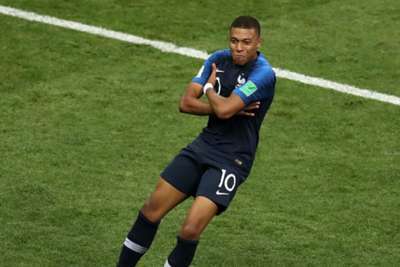 World Cup winner and Paris Saint-Germain teenager Mbappe showed no mercy, lifting the ball over Dembele with the outside of his boot – leaving the France squad in hysterics. There is just no stopping the 19-year-old sensation at the moment.